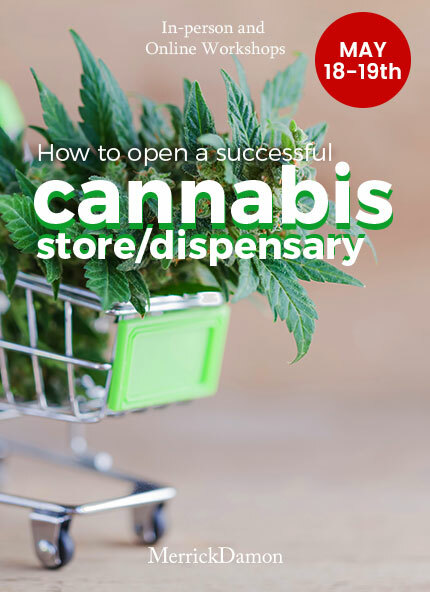 This 2 day hands on course will give you everything you need to know about the industry, the legal requirements to open and market the business and detail paths for making it successful. 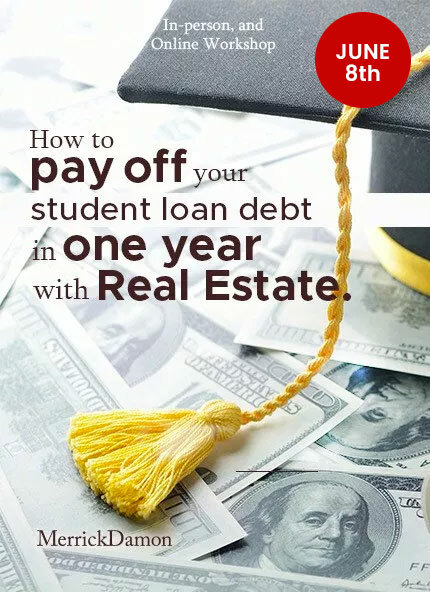 How to pay off your student loans in one year with Real Estate – Live or In-Person Workshop. In a 1 day intensive course Merrick Damon goes over his effective strategy for paying of 85K in student loan debt. Merrick discuss taking risk and attacking debt that would have totaled 1 million dollars if he paid the required monthly payment. His successful tips will lead you to relieving the crippling effects of long term debt. 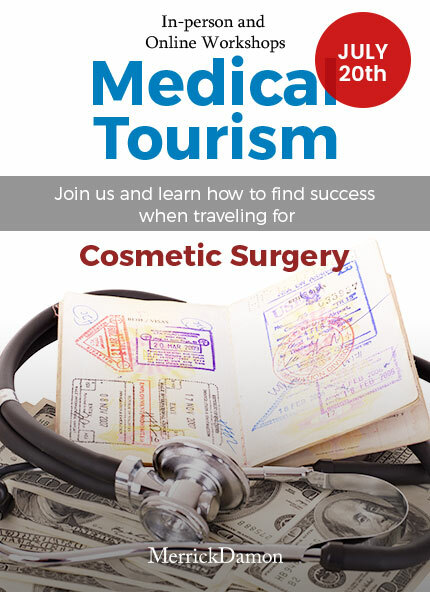 Medical Tourism – How to find success when traveling for Cosmetic Surgery – Live or In-Person Workshop. Join us and learn the secrets and success of traveling to the Dominican Republic for Cosmetic Surgery. One Day Training and Info Session on traveling to Dominican to get works done. 1 day seminar on setting up a successful business in Airbnb. 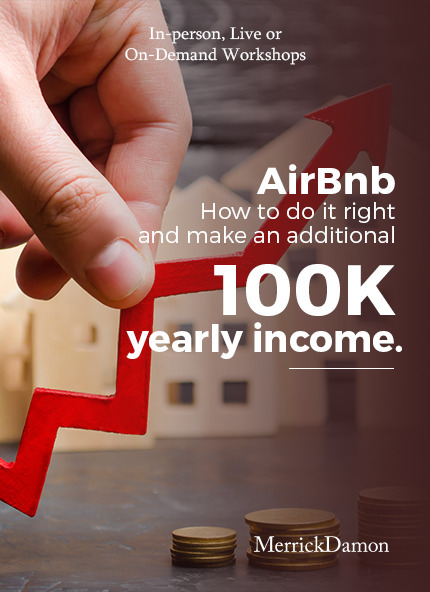 Learn the step by step process of building a investment fortune through Airbnb. 1 day course on the basic of creating and running a successful real estate broker. 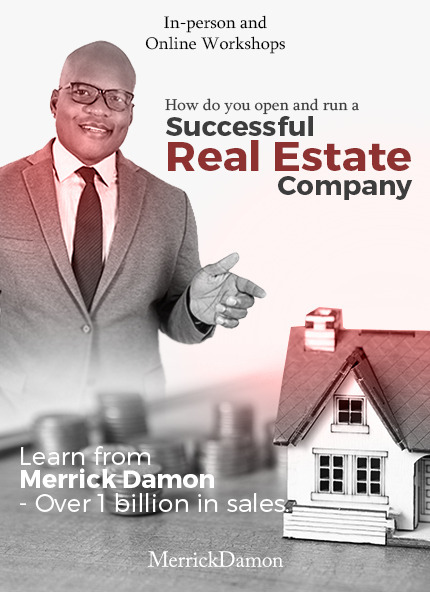 Merrick goes into details from not just opening the door to a brokerage, but give the key steps on turning your investment into a money maker.